You might only remember having a blast camping when you were a child, but it can still be a source of fun and relaxation into adulthood. There is no reason why you can’t get out there and make new memories if you know how to do it the right way. The following paragraphs have a number of helpful ideas you can use. Camping is a lot more fun when done with family and or friends. Not to mention it’s much more safe to camp with more than one person in case of an emergency. Camping out with your family is a good time to bond and heal old wounds that may have occurred over dumb disagreements. Never overlook the benefits of camping with your family. Let everyone of your family members have some input on what kind of camping trip you’ll go on. Have a conversation that gives everyone in the family a say on where to go camping. Choosing a campground can be really hard in the United States, given how many places there are to go! To aid in this decision, you may want to offer a few of those that you personally like the best and than let each family member vote. When going camping with kids, explain to them some common camping problems you might run into. Bring along some information that contains pictures of poisonous plants that they can use as a guide of what to avoid. Take along items to use while you are camping in the wild. Card games, fishing poles or games like a scavenger hunt can be very entertaining in the wild. Take extra things for entertainment if you have children. Use the internet to help you pick a campsite or park that suits your experience and or comfort levels. 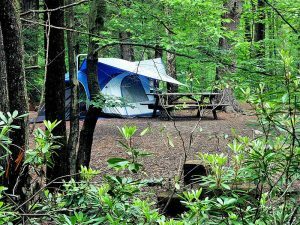 There are a lot of websites that list campgrounds and parks in each state. Some even provide reviews and videos showing you things you wouldn’t be able to figure out unless you visit the campsite. As with every outdoor adventure you should always plan for mishaps or unforeseen circumstances whether they occur or not. By being safe and having a plan for those things you don’t expect to happen you will rest easier knowing that your prepared anyway. If you are going camping in a vehicle such as a camper, car, suv, motor home or tent trailer than you should already have a first aid kit inside. If not, you’re slipping up and should get on that first and foremost. They can be purchased relatively cheap at most camping stores or box stores like Walmart. If you are heading up into the mountains to do some backpacking than you will want to pack lightly to make the trek a little more enjoyable. So usually most hikers will combine a first aid kit with a survival kit. Pack a survival kit and carry it on you at all times. Your survival kit should contain a survival knife, water-purifying tablets, waterproof matches, first aid kit, and a flare gun. This kit can save your life if you get into a dangerous situation. Carry it at all times. There are lots of survival websites on the internet that can provide other items that could potentially save your life or that of someone else in your company. Not only that but the stuff you can learn about how to survive in the wilderness can help others in your family or friends to get through some trying times themselves if put in a predicament unexpectedly. Know how to use a compass and map before you head into the woods. Although you may be familiar with the area where you are camping, you can still get lost when you arrive because many areas can look similar. This skill can potentially save your life. Bring along a bandana or handkerchief. Not only can it keep the hair and sweat out of your eyes, it can also be a sack to carry things, a towel to dry your hands or a potholder to grab your coffee pot from the fire. It does not take much space in your bag and can save the day in many different situations. Another important piece of equipment to remember to have with you while backpacking is a walking stick. A walking stick will help balance you while ascending or descending steep slopes and also mitigate a lot of the stress on your knees and lower back. If you are driving to your campsite in a motor home or pickup camper your adventure will be a little more comfortable because you have the means to carry more camping supplies and equipment to make life easier. It’s been stated many times but making a checklist before you go camping will go a long way towards a more successful camping trip. Always bring ample food, and make sure you bring the right types. Also, you will want to keep food that does not spoil to put yourself in the safest position. Food poisoning is a great way to make a good trip go bad. Make sure your food is prepared the right way to avoid the risk of spoilage. Come prepared before you go camping. There is always the potential that something unexpected may happen even with the most careful planning. There are many things that can go wrong, including illness, injury or extreme weather conditions. It’s important that you take care of everything, don’t take risks that you don’t need to, and think things through before doing them. Camping can be a great way to relax for a weekend, or it can turn into a hellish experience. How you prepare for your camping trip will make or break your weekend. If you are properly prepared for many different situations, then you will be more likely to enjoy your trip. 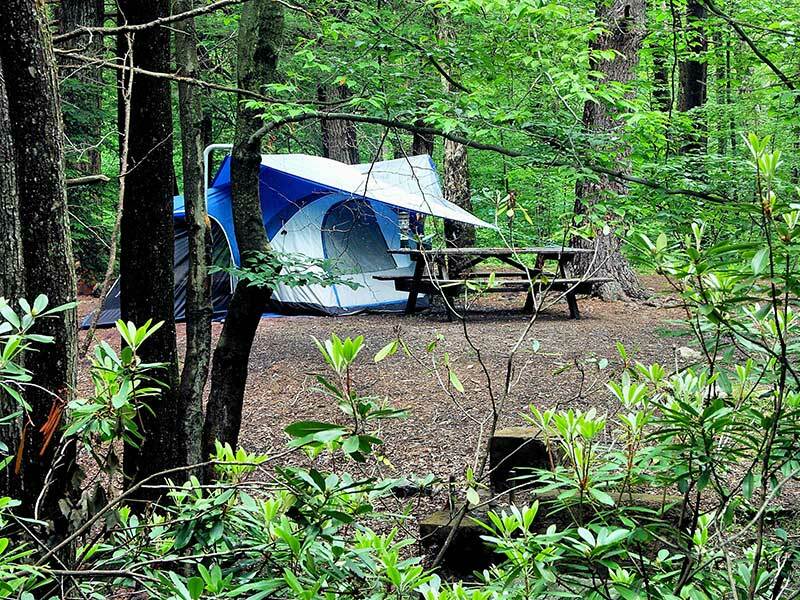 If you’re interested in going to the woods for your camping trips and you haven’t done so before, be sure to test it out to see if you’ll like it first. Simply set up your tent on your own property and sleep in it for a night. During your night in the tent, do not access any of the facilities in your house. If you find this to be an enjoyable experience, chances are good you will like camping out for real. If you went camping when you were young and wish to do so again, you just need to have the correct information. The information and suggestions from above can be just the advice you need to get started today to plan the camping trip you can enjoy once again. I have always loved camping in the fall. Such helpful information, love the site.